Ancient. 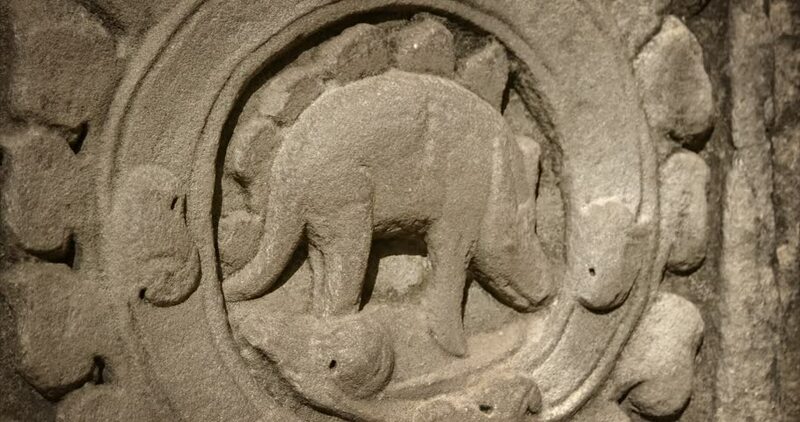 hand carved depiction of an animal resembling a stegasaurus on the exterior wall of Ta Prohm Temple Ruin in Cambodia. 4k00:25African savannah elephant. Species: Loxodonta africana, family: elephantidae, order: proboscidea, class: Mammalia. hd00:08MT NEMRUT, TURKEY - CIRCA 2012: The great archeological heads on the top of Mt. Nemrut, Turkey.